Nobody loves being eaten alive by mozzies or being bombarded by flies... especially when we love to spend so much time outdoors here in Australia! 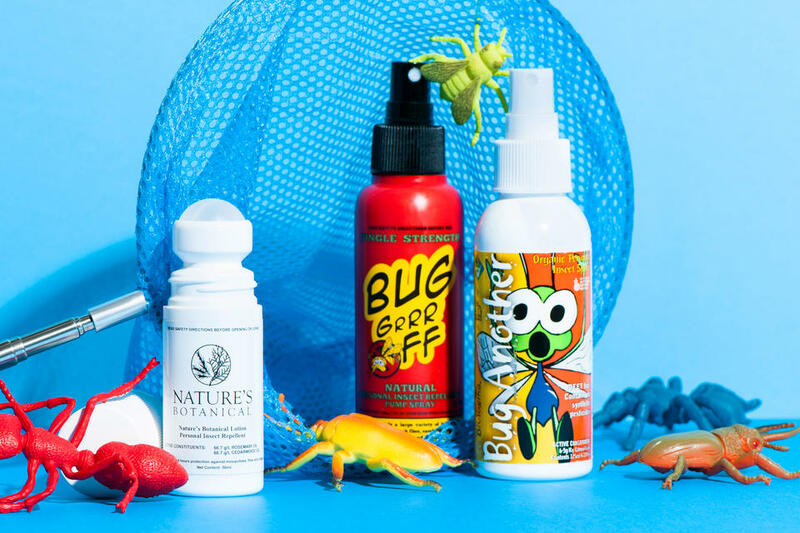 That is why I wanted to share this updated guide to natural mosquito and insect repellents for the whole family. Nothing ruins a gorgeous hot summer's day spent outdoors more than ending up covered in itchy, red and angry insect bites. 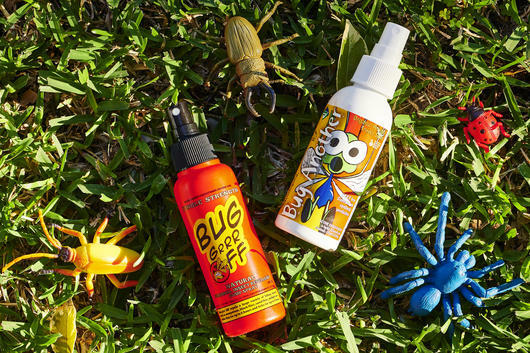 It's awful for both us and the kids, which is why it's always a great idea to have mozzie repellent on hand whenever you are spending time outside. Natural insect repellents utilise the powerfully fragrant properties of plant-based ingredients and essential oils to effectively repel and deter flying insects and bugs, providing an alternative to mainstream and aerosol insect repellents. I also wanted to mention that you may have noticed our range of natural insect repellents change recently - this is due to Australian Pesticides and Veterinary Medicines Authority (APVMA) regulations which require all insect repellents for human use to be registered with the APVMA before they can be sold. Natural insect repellents approved by the APVMA have been scientifically assessed as safe and effective for personal use, when used according to the label instructions, and carry an official approval number. 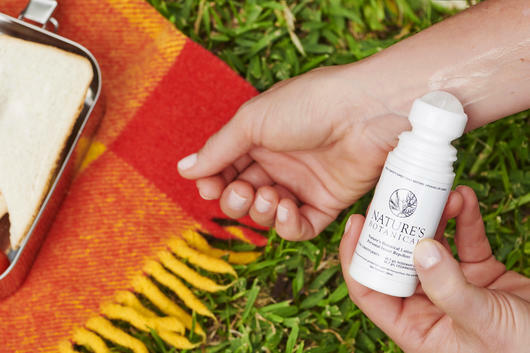 Fast and easy to use, the Nature's Botanical Roll-On Lotion is a perfect natural insect repellent for the whole family thanks to the convenient roll-on application. With fragrant Rosemary and Cedarwood, this lightweight lotion has a thin consistency which becomes transparent when rubbed into the skin, leaving no oily or greasy residue behind, and is designed to provide natural protection from pests such as mosquitoes, flies and sandflies. It actually makes a great alternative for those who dislike or cannot use Tea Tree and Citronella. 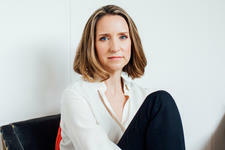 To use, apply to exposed areas, reapplying every 4 hours (or more frequently if sweating, swimming or in a tropical area.) Not recommended for children under age two. 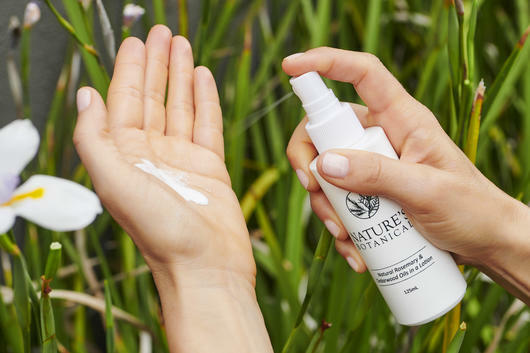 Acting as a moisturiser as well as insect repellent, the Nature's Botanical Crème is a luxuriously thick cream infused with Rosemary and Cedarwood Oils to deter flies, mozzies, sandflies and other insects. Creamy and soothing, this nourishing formula is free from Tea Tree and Citronella, and absorbs beautifully into the skin for an invisible finish with no oily residue. Apply to any exposed areas, as you would apply a sunscreen. Reapply every 4 hours, or more frequently if needed. 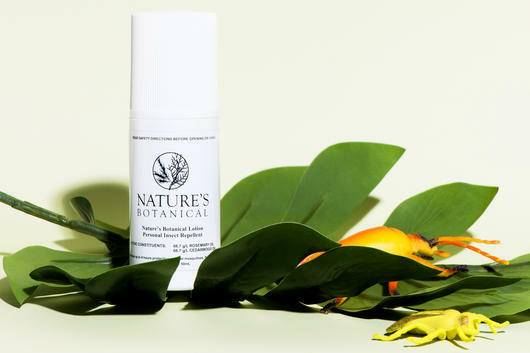 Like the Nature's Botanical roll-on, the Nature's Botanical Spray Lotion is a thin and lightweight lotion - but in a spray formula! Cedarwood and Rosemary deter pests and insects, while the cooling lotion base soothes and hydrates skin without that oily or greasy feeling. To use, spritz all over exposed areas and rub into skin until invisible. 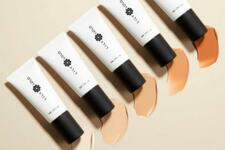 Reapply every 4 hours or more often as necessary. 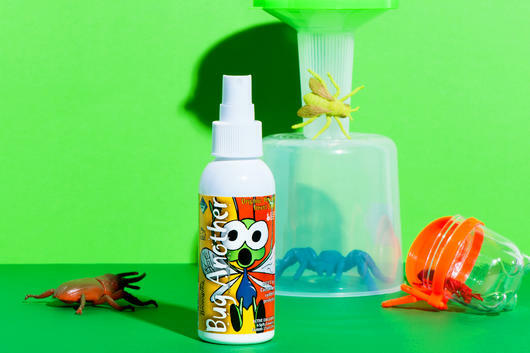 A Certified Organic blend, the Biologika Bug Another Insect Repellent Spray contains powerful Citronella, Lavender, Lemon Myrtle, Peppermint and Sage Essential Oils for their pest-repellent properties. Designed to provide safe protection for the whole family, this gentle yet potent spray also contains refreshing Aloe Vera and soothing Rosehip to care for skin. With fast and easy spray application, this natural insect repellent makes an ideal alternative to mainstream aerosol mosquito repellents. 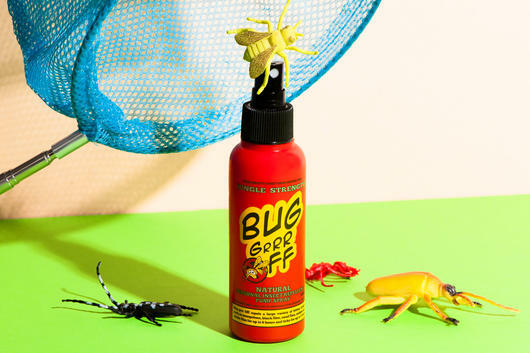 Formulated to help keep insects at bay for up to six hours after application, the Bug-Grrr Off Inspect Repellent Jungle Strength Formula Spray is strong enough for hot, humid and jungle-like environments. Perfect for repelling all sorts of biting insects and bugs as well as midges, stable flies and even ticks, this powerful spray contains Oil of Lemon Eucalyptus and is ideal for all sorts of outdoor activities, hikes and camping trips when you need serious and lasting protection. A refreshingly fragrant blend of Lemon Myrtle, Citronella, Eucalyptus and Tea Tree, Lemon Myrtle Fragrances Natural Insect Repellent is a lightweight spritz which is also delightfully cooling on a hot day. Thanks to the naturally antibacterial and antiseptic properties of the essential oils, this spray can also help to relieve itchiness. Spray onto clothes, skin, or surfaces for effective protection. The Lemon Myrtle Fragrances Naturally Tropical Strength Mozzie & Sandfly Repellent is specially designed for humid, tropical climates to help provide lasting protection, even through outdoor activities such as walking, cycling, climbing, fishing and camping. Tested in the tropical areas of Australia, this ultra-effective spray contains potent Tea Tree and Citronella in a nourishing base of Sunflower Oil to help protect you from mosquitoes, sandflies and midges. It lasts for around 3-4 hours with each thorough application. Spray directly onto skin, clothes or surfaces. With clean and fresh aroma, the Perfect Potion Outdoor Body Spray Natural Insect Repellent is made from a powerful blend of Peppermint, Citronella, Tea Tree and Eucalyptus Essential Oils to deter and repel mosquitoes - ideal for those who find they are mozzie magnets! To use, spray 2-3 pumps all over exposed areas, then smooth over skin to help ensure complete coverage. Reapply as required. 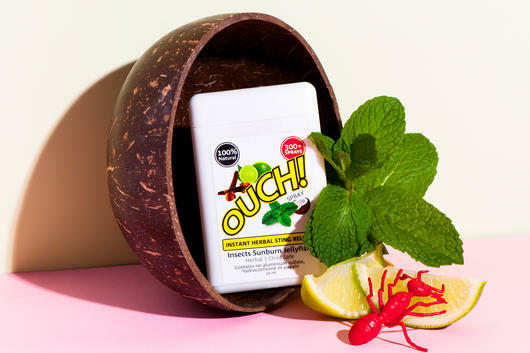 In a super handy credit card-sized bottle which fits in your pocket, the Ouch! Instant Herbal Sting Relief is perfect if you've been too relaxed with the repellent and found yourself covered in itchy bites! Formulated with 100% organic ingredients including Peppermint, Madagascan Clove Bud Oil and Lime, this spray liquid is designed to provide herbal relief from bites and stings from mozzies, midges, sea lice and even jellyfish, as well as soothe sunburn. Spray on affected areas as needed. The Perfect Potion Outdoor Rescue Gel is an ultra-cooling and soothing gel consistency which is perfect for helping treat bites, scrapes, cuts and other irritations. Nourishing Aloe Vera calms and hydrates, while naturally antiseptic and antibacterial Lavender, Tea Tree and Peppermint work to help reduce itching, inflammation, swelling and redness and relieve general discomfort. Apply to affected areas as often as required. A good one for the natural medicine cabinet is the Weleda Burns & Bites Cooling Gel, designed to cool and soothe the symptoms of insect bites, minor burns, sunburn and rashes. Natural herbal ingredients including Echinacea, Aloe Vera, Arnica and Nettle form a powerful antiseptic and antibacterial blend to help ease redness, inflammation and pain. For insect bites, apply a thin layer every two-three hours. Do not use on wounds where the skin is broken. Always read the label. Use only as directed. Patch test before use. Not suitable for use during pregnancy. Please check with your healthcare professional before use on young children and infants.